Dark pores on the legs are one of the weird things for women. While they tried so many times, they fed up to deal it with thousands of various tricks but all the time they poorly get the negative results. Dark pores are a bit like the dots present on strawberries and they are as darker as easily visible with the naked eye. 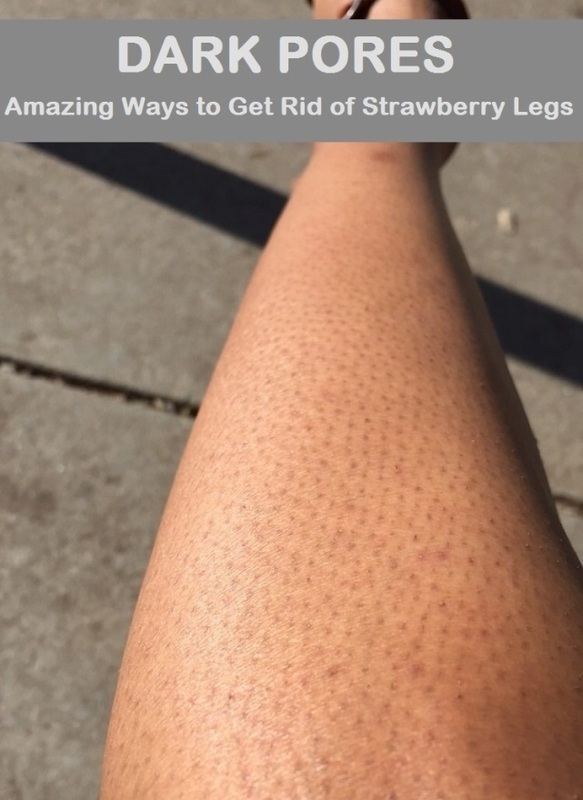 Sometimes people refer to called it as “strawberry legs”. In medical terms, the dark pores are known as “open comedones”. 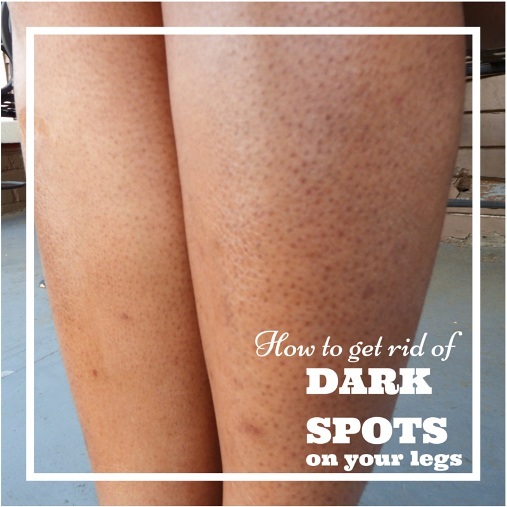 If your skin tone is light or olive in color then these dark pores would be noticeable on your legs. When open pores get preserved with bacteria, dirt and oil then the dark pores appear through the air reaches the pores. Therefore the oil found in the pores mixed with oxygen so the pores turn very dark. What Causes the Dark Pores? As established from many cases that women usually notice these dark pores after shaving it up. Using a dull razor will cause the follicles of the hair remain exactly and do not pull out from the leg hair so it might be the main cause of the dark pores. The opening of the hair follicle plugged with dead skin cells, dirt and oil. So it would be better to stop shaving in order to disregard this problem. 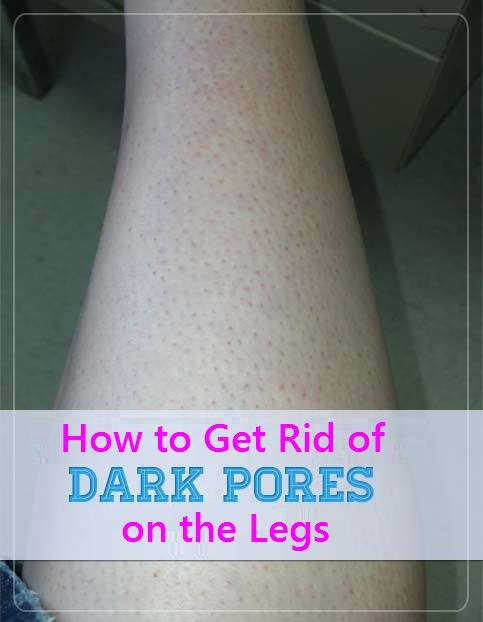 Surely, the cheapest and easiest way to remove your leg hair is the only the shaving method but once you ignore this method; you can never get these dark pores if you flip to another hair removing method. Alternatively, you can choose whether the laser hair removal, waxing and depilatories. Before choosing any of these methods, Make sure you have knowledge of its pros and cons. 1. Ingredients that contain alpha hydroxy acids should be considered highly as they will help in exfoliating your legs. The acids present in them will strip away the dead skin cells. This ingredient successfully penetrates in your body and helps in giving the smoother skin texture. It helps to reducing the discoloration and inflammation occur due to razor bumps. 2. Another famous ingredient is glycolic acid that you may use in your daily basis. Glycolic acid actually came from sugar cane and this sugar helps to exfoliate the skin. 3. Citrus fruits contain citric acid which is greatly wonderful for your skin. It can be found in several fruits like limes, lemons and grapefruit. Whereas the lactic acid is found in dairy products. Those people who have problem of hyperpigmentation and contain sensitive skin cells should concerned with the dermatologist before trying over these acids. 4. Many natural ingredients are here through which you can eliminate the problem of dark pores on your legs. Lime is calmer than lemon and works as an astringent on your skin. 5. Other natural ingredients such as aloe vera, sandalwood oil, rosewater and cucumbers helps in getting rid of inflammation. Coconut oil removes the bacteria on the other hand avocado oil works as an ointment. 6. Brown sugar is also beneficial and used for exfoliation on your skin very gently rather than the white sugar. In order to get rid of dark pores, there are different treatments can be done at home and you find them very effective. Exfoliate is the best way to make yourself far away from these dark pores. Exfoliation is known to be the best step to do so regularly. In this way, the dead skin cells will be removes completely along with abolishing the dirt, sebum and impurities. The mixture some of the ingredients that are described below would be great to use for the skin exfoliation in order to get rid of the dark pores on the legs. Choose one of the options below. Mix 2 tbsp of sugar with 4 tbsp of olive oil. Mix 1 tbsp of baking soda with 1 tsp of warm water. Mix some salt with buttermilk and make a paste. Mix 2 tbsp of brown sugar, 2 tbsp of aloe vera gel and 1 tsp of lemon juice and whisk it until it becomes like a smooth paste. Blend the equal parts of brown sugar and baking soda with water to make a paste. Select mildly harsh scrubs to exfoliate your skin, concentrate especially on the affected areas or you can apply it to the entire leg with the help of circular motion of your hands for several minutes. Begin with the ankles and work all the way up. Wipe off gently then rinse with warm water. To close the pores, you should splash the skin with cold water. Massage your legs with moisturizing lotions or the oils in which healing ingredients are found like aloe vera. Massage helps in increasing the blood circulation and keep your skin moisturized and healthy. Use pure glycerin to add into vitamin E oil, jojoba oil, almond oil or coconut oil. Peel off the cucumber and mash it then apply its juice to the affected areas. After some use, you will notice the color of your dark pores on the legs to reduce gradually. Add few drops of tea tree oil in two tbsp. of olive oil then massage into the affected areas for several minutes. Add few drops of sandalwood oil in olive or coconut oil. Combine equal parts of lemon juice, cucumber juice and rosewater then apply this mixture to the legs. You can also apply the egg white on the dark pores and leave for several minutes, rinse it with cold water.